Managing the finances in a business where the income varies month to month can be tricky. When your family depends on this income to live, we can both agree that it is very important to make sure we manage it in the best way possible. 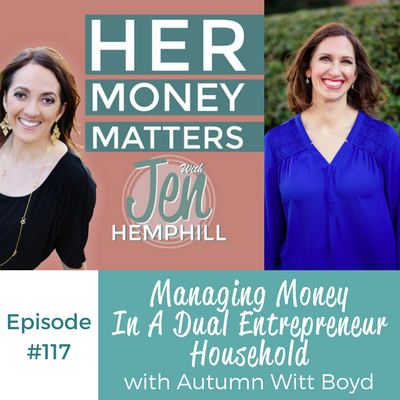 Having a dual entrepreneur household can get even trickier. Autumn Witt Boyd shares exactly how this has evolved for her and her husband over the years. Autumn grew up in a middle-class household – her father was a doctor and her mother a stay-at-home mom. They lived a comfortable life until her parents got divorced. After her father moved out, and he had two households to provide for, Autumn remembers her mother being on edge about money, expressing that they could not afford certain things. In her younger years, there were little conversations about money. Later on, it was instilled in her by her mother that if Autumn wanted certain things, she would have to go out and get a job to pay for it. Her mother never worked steadily after her parents divorced, and as a result, Autumn became quite motivated to never be in the same situation herself, with 4 kids, and no way to support herself. Autumn and her husband are both entrepreneurs. As a result, there is irregular income, with some months being more abundant than others. Autumn’s husband started his own business about 7 years ago in the construction business. The year prior, while Autumn was working full time at a law firm, they decided to live on her income and saved his. This really helped when he decided to leave his job for his own business. As he was building his business, Autumn was the sole breadwinner, which was an anxious time for Autumn, even though she had a solid job with a decent income. She and her husband would always joke that his business bank account was a huge black hole, that she knew little about. They would talk about it, but she didn’t really get into the details with him. Once a month she would ask him for a cheque for a certain amount to cover some items, which she now does not recommend. It made her feel as though she was asking for permission to spend money on household expenses. And it made it feel a little uneven. Now, each of them contributes a standard amount to the expenses and adjust when one has lower receivables than the other. When they decided to have children, childcare was a huge consideration, and a big motivator for Autumn’s husband to start making a profit. By the time their twins were born, he was doing just that. WIth more income coming in, Autumn admits that they became lazy about managing their finances, and spent what they made, with little thought for savings. They are more intentional about saving now. Autumn and her husband both contribute monthly to an account that is used to pay for the household expenses. They have a list of all of their bills so they know what they need to have every month to keep the family going. Recently, they took that number, added a bit, and each contributed half of that. As their businesses have evolved, they have adjusted the percentage according to the numbers being generated. Autumn shares that the key ingredient that allowed them to successfully transition from full-time employment to self-employed was having 3-4 months of expenses put away. These savings are key to allow you to build your business and still support your family. In addition, watching your business expenses at the beginning to not overextend really helps. Also, to ease the fact that she had no clients after leaving her full-time, she kept a few contracts with her previous employer until she had built up her own clientele. In terms of management of finances, Autumn is the bill payer in her family. With her expenses all outlined on a spreadsheet, she has set up her payment dates to line up at the front end of the month so she can pay bills only once in a month, many of them automated. 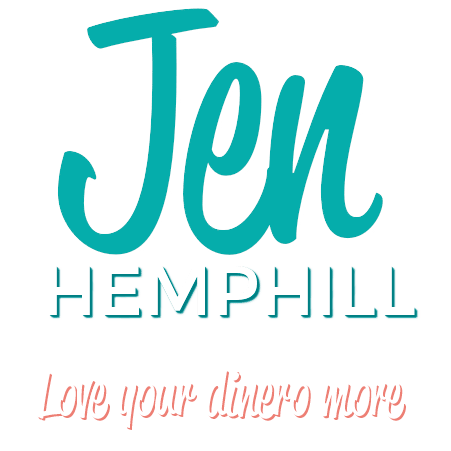 It is a system that works with both of them self-employed, and while they don’t live with a strict budget, they follow the guidelines and are successfully saving for their goals. 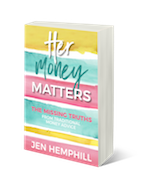 Women should be independent and be able to earn their own money or contribute to their household in whatever way that they do, and that they are a partner, even if they are not bringing money to the table.